The deaths of 23 Asiatic lions from September 12, 2018, to October 2, 2018, in the Gir Forest National Park, have bought the Gujarat Forest Department under scrutiny over the causes of increasing deaths of lions in less than a month. The Indian Council of Medical Research’s National Institute of Virology (NIV) has confirmed the presence of canine distemper virus (CDV) in at least 11 of the 23 dead lions. With the Supreme Court of India and Gujarat High Court expressing serious concerns over the sudden deaths of Gir lions, the decade-long debate over translocation of some lions to Madhya Pradesh’s Wildlife Sanctuary has gained momentum once again. The Gir forest is the only habitat of the Asiatic lions in the whole of Asia and with increasingly stringent conservation efforts, the National Park has managed to increase the number of Asiatic lions, from 284 in 1994 to 523 in 2015. 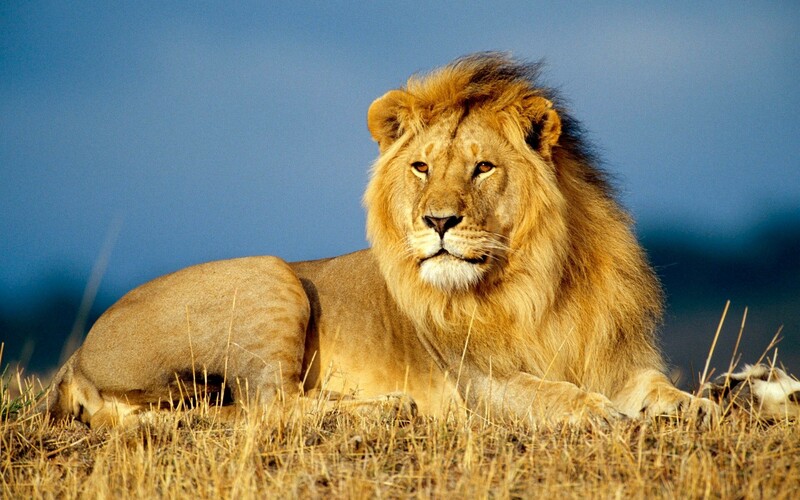 Since then Gir forest has become overpopulated with lions and annually around 100 lions die due to infighting among the lions for space and other human activities. Owing to the overpopulation of lions in the Gir forest, the Asiatic Lion Reintroduction Project was undertaken by the Central Government to set up a second population of Asiatic lions by means of reintroduction. A workshop conducted by the Population and Habitat Viability Assessment (PHVA) of Asiatic lion in 1993 confirmed that the Kuno- Palpur sanctuary was the most suitable for reintroduction among the four other sanctuaries proposed. Since then subsequent studies undertaken in 2004 and 2007 had provided the framework for shifting of lions to the Kuno-Palpur Wildlife sanctuary in Madhya Pradesh. However, the Gujarat government which evidently considers the Gir lions as the cultural heritage and pride of the state had been reluctant enough to shift the lions over arguments such as inadequacy of the Kuno Wildlife sanctuary to preserve the species and the gun culture of the Sheopur region where the Kuno Sanctuary is located. In 2013, the Supreme Court reiterated the need for translocation of Gir lions for the preservation of the endangered species. After the constant pressure of the environmentalists and rejection of petitions by the Supreme Court, the Gujarat state government agreed for translocation only after completing studies as per relocation guideline of the International Union for Conservation of Nature (IUCN), which again led to the delay of proposed translocation plan. In 2016, an expert committee formed by the Supreme Court directed the Madhya Pradesh government to increase the area of the Kuno- Palpur Sanctuary and to notify the sanctuary into a national park with additional areas after the approval from Wildlife Institute of India to start the shifting process of lions. However, the Madhya Pradesh government has since then delayed the notification process bringing the much-needed project to a halt. Ever since the deaths of 23 lions, the Gir Forest Department has fiercely taken up measures to prevent the spread of infection by isolating 36 lions in three rescue centres, bringing in nine big cat specialists to examine the other lions and has bought 300 shots of vaccine ‘polyvalent’ from the United States. Wildlife conservationist, Neha Sinha, points out an extremely imperative point that intensive artificial treatment of wild animals does not ensure long-term sustainability. Wildlife conservation focuses on maintaining conducive ecological systems, reducing threats to endangered species and not artificial treating them which is against the natural process. She further states that wildlife managers must work towards reducing unnatural threats and not unnaturally prolonging the life of these wild species (Sinha, 2018). While, the measures taken up by the Gujarat government provide temporary solutions to prevent an epidemic, it does not address concerns over long-term conservation of the lions that do not have enough space to live in the Gir forest and are in close proximity to feral dogs, the species that are majorly responsible for spreading the canine distemper virus. The presence of canine distemper virus along with the highly contagious petits ruminants virus, PPRV was traced as early as September 2011 in the tissues from the carcass of a Gir lion by Indian Veterinary Research Institute. The recent plight of Gir lions is an ultimate call for the central government and the state government of Gujarat to consider measures for shifting the lions on a war footing. The prolonged negligence, ignorance of the Gujarat government and the state battles have led to an immense pain and suffering for the lions of Gir. It is the safety and conservation of the Asiatic lions, the pride of India; that must be of prime importance and not the politics of the concerned states. Given the lack of space for an increasing number of lions in the Gir National Park and the persisting risks of an epidemic; establishing a second independent population and translocation of the Asiatic lions to another suitable habitat is definitely a way forward. Mazoomdar, J. (2018, October 5). Five years ago, Supreme Court said move some Gir lions out but two states stalled. The Indian Express. p.1, p.2. Mazoomdar, J. (2018, October 5). Explained: What is killing the pride of Gujarat’s Gir? The Indian Express. p.9.